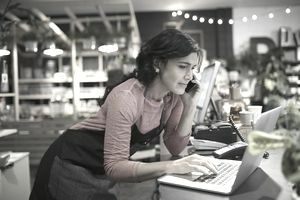 As most small business owners can attest to, lack of available financing is typically the biggest barrier to starting or expanding a business. Even when presented with a clear vision and a solid business plan financial institutions are reluctant to lend to small businesses. In addition, women entrepreneurs face even bigger barriers to financing than men—less than 20 percent of small business bank loans go to women. Fortunately there are some organizations that offer small business grants as an alternative source of business funding for women. "The Cartier Women's Initiative Awards is looking for committed female entrepreneurs heading initiatives with the potential to grow significantly in the years to come. It is a unique opportunity for early-phase women entrepreneurs to take their companies to the next level." To qualify an applicant must be engaged in a for-profit business in the early stage of development (two to three years old). Eighteen finalists are chosen, of which the top six will receive US $100,000 in prize money. The remaining finalists will receive US $30,000 in prize money. All finalists are given access to one-to-one business mentoring, entrepreneurial workshops, knowledge sessions, and networking events. For more information see the application process. Each winner also receives a cash value in FedEx print and business services. To qualify, applicant businesses must have between one and 99 employees and be in good standing. Franchises and direct seller businesses are not eligible. After entering you can solicit fan votes to improve your chances of winning. Grants.gov is a comprehensive database of available grants from various federal government agencies. You can search available grants using a variety of criteria and register and apply online. Each grant has specific eligibility requirements. For example, some are only available to state or local governments, or to non-profit agencies. To narrow the search results you can enter small business grants as a search criteria. For general guidelines see Grant Eligibility. Many states and municipalities also have grant programs for small businesses. These are often geared towards particular industries such as tourism, agriculture, technology, or research and development. Some grants involve matching an equivalent investment from the business, or require creation of a specified number of jobs. Search the web for grants available in your state or municipality. For more information and to apply see grant program guidelines. The federal government's Small Business Innovation Research (SIBR) program provides grant funding assistance to qualifying small businesses engaged in research and development (R&D) leading to commercialization. Each agency designates particular topics of R&D interest and small businesses are invited to submit proposals and compete for funding. If you believe you have a leading-edge business idea that is marketable, your company may be eligible for a Small Business Innovation Research grant of up to $150,000 over a six month period to help with the initial phase of development. If the goals of the initial phase are met, you may be eligible to receive up to $1 million in additional grants over the following two years to further establish the scientific, technical, and commercial potential of the project. See the Small Business Innovation Research (SIBR) website for more details. Be professionally written, organized and presented. If writing is not your forte, request assistance from someone who has excellent writing skills, preferably with prior experience in writing grant applications. If images, logos, or video clips are required, these should also be professional produced. What About a Private Lender? How Do You Find Small Business Start Up Money?